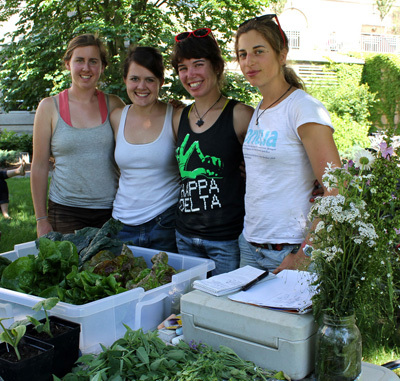 Join the team at Dilmun Hill Cornell’s student-run farm! Take a leadership role in vegetable production, sales, and outreach. Fast-paced, exciting, and inclusive environment. Application deadline: Friday, February 28, 2016. Learn more and apply now! WASHINGTON, May 11, 2015 – Agriculture Secretary Tom Vilsack today announced a new report showing tremendous demand for recent college graduates with a degree in agricultural programs with an estimated 57,900 high-skilled job openings annually in the food, agriculture, renewable natural resources, and environment fields in the United States. According to an employment outlook report released today by USDA’s National Institute of Food and Agriculture (NIFA) and Purdue University, there is an average of 35,400 new U.S. graduates with a bachelor’s degree or higher in agriculture related fields, 22,500 short of the jobs available annually. The report projects almost half of the job opportunities will be in management and business. Another 27 percent will be in science, technology, engineering, and mathematics (STEM) areas. Jobs in food and biomaterials production will make up 15 percent, and 12 percent of the openings will be in education, communication, and governmental services. The report also shows that women make up more than half of the food, agriculture, renewable natural resources, and environment higher education graduates in the United States. 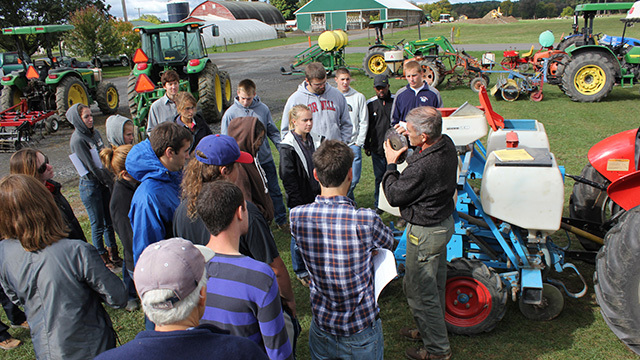 Students in Principles of Vegetable Production class (HORT 3500) learn the ins and outs of more than a dozen tillage, planting and cultivation implements at the Homer C. Thompson Vegetable Research Farm in Freeville, N.Y.
Cornell University’s New York State Agricultural Experiment Station in Geneva, New York offers a Summer Research Scholars Program where undergraduate students can participate in exciting research projects in one of four disciplines including; Entomology,Food Science, Horticulture, and Plant Pathology/Plant-Microbe Biology. The submission deadline for all application related material is February 13, 2015. Find more internship opportunities on the Horticulture Internship blog. We’re we’re looking for a talented individual Assistant/Associate Professor of Sustainable Fruit Production (60% research, 40% teaching). The candidate is expected to develop and direct an externally-funded, nationally-recognized research program on deciduous fruit production systems with emphasis on understanding interactions between the fruiting plant, management practices, and ecosystems, and applying this knowledge to improve the sustainability of fruit crop production systems. While the candidate can conduct research within any relevant fruit production system, sufficient expertise in tree fruit systems is expected to enable the candidate to teach both Ecological Orchard Management and Fruit Crop Physiology, and to develop an additional course to be offered to support the plant science curriculum. Participation in curriculum development, student recruitment, and undergraduate and graduate student advising will be a component of the teaching responsibility. Application review begins August 1, 2014 and continue until the position is filled. Full position description and application instructions. For Cornell undergrads looking to spend their summer immersed in sustainable agriculture on campus, the Dilmun Hill student-run organic farm has a few opportunities to choose from. For those interested in summer employment with a leadership component, Dilmun Hill is now accepting applications for the market garden manager position for the 2014 season. The market garden manager is part of the team that will run the farm from spring to fall. Also sought are undergraduate researchers with interesting and original ideas for agricultural research projects to be conducted at Dilmun Hill. Applications for both these opportunities are being accepted now through February 19. Additionally, if you are a Cornell student looking for applied research experience in agriculture, passionate about small farms and interested in strategies to improve soil quality and reduce on-farm energy use, consider applying for a summer student research position. 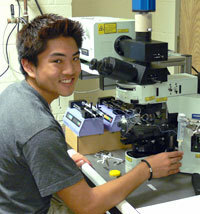 Gain hands-on production and research experience. Help manage vegetable crops from planting to harvest. Learn plant and soil sampling methods and how to organize data and summarize results. 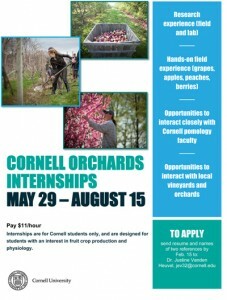 Position is based at Cornell University, Ithaca campus and the HCT Vegetable Research Farm, Freeville. Daily transportation to the research farm will be provided. Application deadline is February 28. More information. Market Garden Manager – The Market Garden Manager is in charge of the vegetable production and sales at Dilmun Hill. Managers are hired in late winter and are expected to participate in farm operations for the next year and a half. Throughout their term Market Garden Managers perform a wide variety of tasks, with the simultaneous expectation of communicating effectively between the other managers, staff, and the general Dilmun Hill community. Download position description/application. Student Researcher – If you have a cool idea for an agricultural research project you want to conduct at Dilmun Hill, this position is for you. If you don’t know where to start, please ask us and we can help you make connections with faculty. Download position description/application. Applications are due February 12th. Please download (links above) and submit your application to Betsy Leonard (bai1@cornell.edu) by midnight on February 12 2014 to be considered.